Mayfly Press is the home of good books from the North of England. Mayfly Press LLP is our publishing house, a trading partnership with Business Education Publishers Ltd. Mayfly currently has two imprints: Moth Publishing, a crime imprint; and Mayfly Books, a literary and trade imprint. All profits New Writing North makes from Mayfly Press are reinvested into the business and into our charitable work. The publishing house was founded in 2012 and launched with the Northern Crime Competition. In 2015 we launched Mayfly Books, our literary and trade imprint. Mayfly Press LLP is a Limited Liability Partnership owned by Business Educational Publishers and New Writing North. The partnership came together as Moth Publications in 2013/14 and was re-launched as Mayfly in 2016. It currently has two imprints: Moth, a crime imprint; and Mayfly Books, a literary and trade imprint. The partners first came together in 2012/13 when they collaborated on the Northern Crime competition. The aim was to find new crime writers from the North of England and to publish their work. The first four winners of the Northern Crime Competition – Rebecca Muddiman, Helen Cadbury, Alfie Crow and Michael Donovan – were published in 2013. We were proud to launch the careers of Rebecca Muddiman and Helen Cadbury, who have now moved on to work with larger publishing houses. The second Northern Crime Competition ran in 2014 and from this we brought over 20 new writers to publication in Northern Crime One and launched the crime career of Kath McKay. 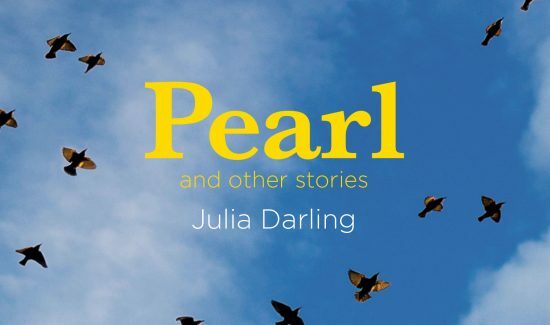 In 2015 we brought back to print the Orange Prize-nominated novel Crocodile Soup by North East author Julia Darling to coincide with the tenth anniversary of her death. This has begun an interest for the company in bringing back into print Northern classics. In 2015 we bought a crime series from literary author Benjamin Myers and published his first book in summer 2016. The company is run by the two partner organisations with editorial direction led by Claire Malcolm at New Writing North, and production and distribution managed by Andrea Murphy of Business Educational Publishing. Together we aspire to grow the company into a significant northern publishing house. Any profits generated by the partnership are reinvested into new business and split between the two founding organisations. The funds that come to New Writing North are used to further the objectives of the literary charity. We are not currently open to submissions. For all enquiries about our books and authors, contact Laura Fraine at laura@mayfly.press.